The island is Kong’s kingdom in a new TV spot for Kong: Skull Island, which you can watch below. If you haven’t checked out the four previously-released TV spots, you can still watch those by clicking here. A trip back to the mysterious and dangerous home of the king of the apes, the new film will follow a team of explorers who venture deep inside the treacherous, primordial island to find the leader’s brother and a mythical serum, confronting extraordinary creatures along the way. Kong: Skull Island stars Tom Hiddleston, Samuel L. Jackson, Brie Larson, John Goodman, Jing Tian, Toby Kebbell, John Ortiz, Corey Hawkins, Jason Mitchell, Shea Whigham, Thomas Mann, Terry Notary and John C. Reilly. Directed by Vogt-Roberts, the movie is scripted by John Gatins and Max Borenstein. Legendary’s John Jashni and Thomas Tull are producing alongside Mary Parent. 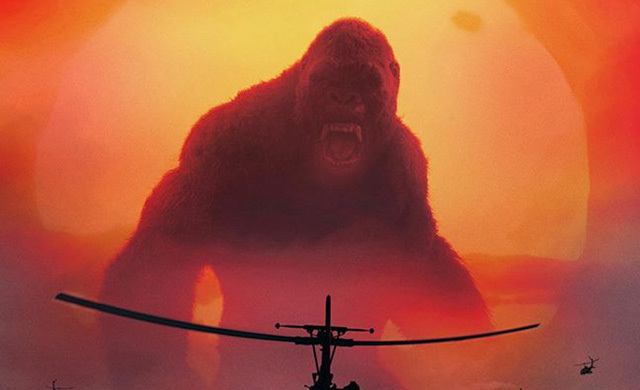 Legendary has promised that the story will honor the foundations of existing King Kong lore, but will place Skull Island in an entirely new, distinct timeline. Legendary Pictures and Warner Bros. Pictures will release Kong: Skull Island in regular and IMAX theaters on March 10.